Pinwheels and a red, white, and cream color palette give this wall hanging an Americana feel. 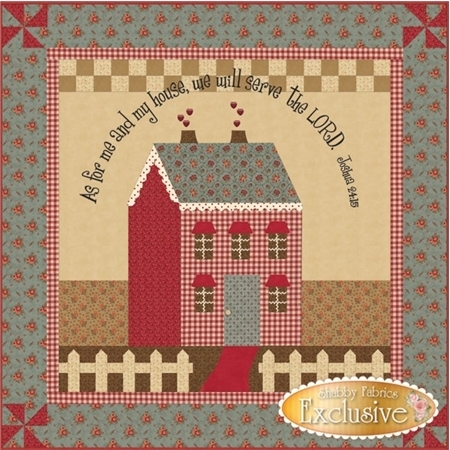 The verse As for me and my house, we will serve the LORD - Joshua 24:15 is prominently embroidered above the house. Finishing to 41" x 41", this wall hanging complements our Little Garden House series. 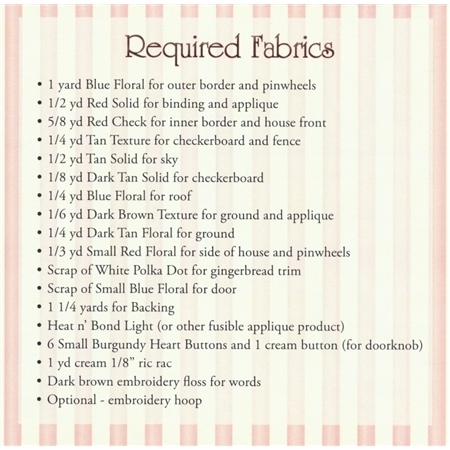 This pattern will include full instructions and diagram to complete wall hanging.